PHBO is a legacy service of the Public Housing Management Institute (PHMI). Over the past decade housing authorities across the country have found the Commissioners Guide to Public Housing published by PHMI to be a practical and useful resource. The small, easily read volume offers commissioners insight to the workings and role of the public housing agency and their role and responsibilities in providing policy leadership. 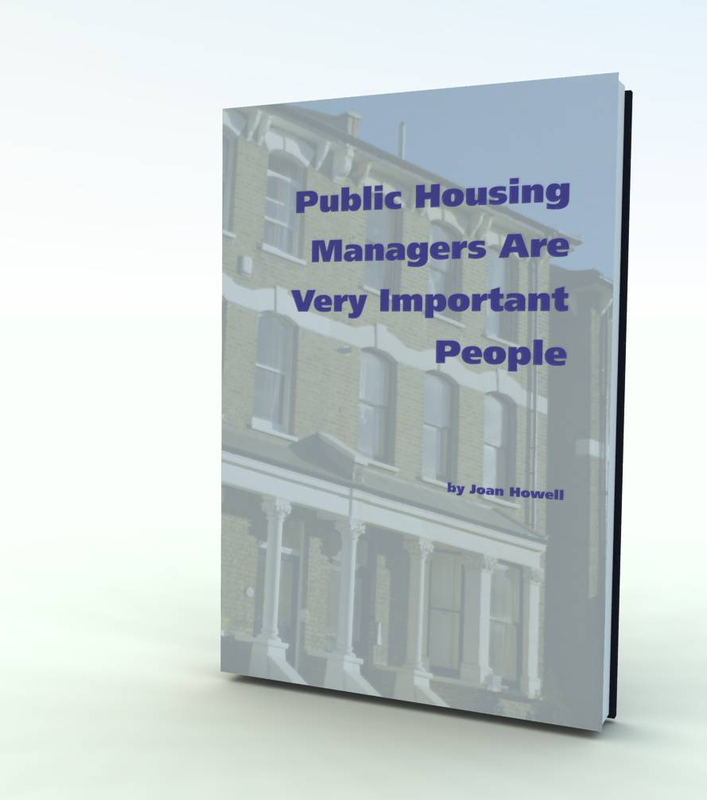 The demand for the book continues and PublicHousingBooks.com is a web based resource for purchasing not only the Commissioners Guide but other volumes that are intended to serve the professional development interests of public housing executives and staff. There is no interest or effort on our part to replicate the excellent resources provided by the Department of Housing and Urban Development (HUD). The Department provides extensive material primarily intended to support the massive regulatory requirements and funding opportunities that are part of the governmental structure. We recognize that professional leadership of a public housing agency is an exceptionally complex, sophisticated and challenging responsibility Through Public Housing Books we will offer literature and material intended to support the professional development interests and needs of these leaders. A New Book is Now Available from publichousingbooks.com and PHMI! The new book is written in the style of a letter or journal with light hearted and easy to read conversational language. The book focuses on the “boots on the ground” work of managing property designed for and occupied by individuals and families who are using government support in order to have “decent, safe and sanitary” shelter. The intended audience for the book was originally on-site housing authority personnel. The book reads as a folksy journey through the challenges of managing unit turnover, rent collection, maintenance, lease enforcement, resident participation in community life, the special requirements of young families and seniors. It doesn’t deal at all with federal, state, or local regulations and requirements. HUD does a fine job of providing that information. Learn more about the new VIP Book and how to order your copies today. Published by the Public Housing Management Institute, The Commissioners Guide to Public Housing was written and designed to provide public housing executives with a critical resource for orienting Boards of Commissioners to the public housing agency; for providing important program information and guidance; and a context in which executive directors and commissioners can find more productive ways to work together. The 100-page volume is written in layman's terms, creatively illustrated, concise in its presentation and comprehensive in its coverage. The Commissioners Guide to Public Housing is a bound book that makes an excellent stand alone reference for your Commissioners. Learn more about the Guide and how to order your set.